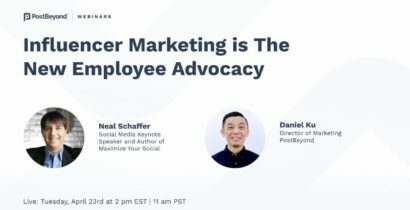 You’ve decided that employee advocacy is the right solution to help scale your social media and content marketing initiatives – now you are ready to launch an employee advocacy program. 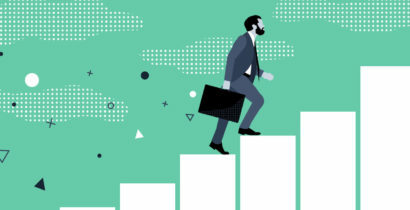 In addition to an employee advocacy platform and setting key program objectives, creating internal buzz is an essential step to ensure your program launch starts off on the right foot. This blog covers the key steps needed to ensure your program generates enough buzz to make a splash and engrain the right habits for long term program success. The first step is to solidify and share clear program value messages with your employees and executives. Why should employees care? How is the program going to help the organization? How is social sharing going to help them individually? If you want people to care you need to show them what’s in it for them. A study from CNBC reported CEOs who are active on social media are more likely to outperform their peers across six distinct areas of performance. 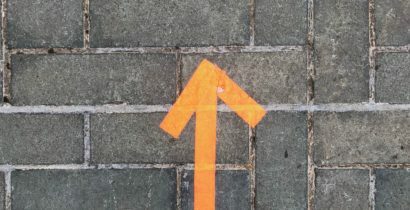 Perception can become reality – more than 84 percent believe that leaders who are active on social media create a competitive advantage for their brand. Additionally, C-Suite can be an internal role model for those who feel hesitant about social sharing. When top executives are sharing on social and promoting the benefits, employees will also feel more empowered to post about their company on social media. Growing Their Network: sharing interesting articles will build their social presence and lead to more engagement, conversations, and connections. Without too much effort, employees will expand their professional networks online. Easy Personal Branding Building: employee advocacy programs simplify the thought leadership process. They now have access to smart, pre-vetted industry-specific content that can be shared with their network in a few clicks. More Company Transparency: invested employees want to know what is going on across departments, offices and even countries. Advocacy platforms streamline the sharing of company content and allow different departments to easily showcase product updates, events, sponsorships, content pieces, etc. If they don’t know they can’t share! This may be a marketing initiative, but if you want the whole company to participate then every department should be included in your promotional rollout. With clearly established value propositions, this phase should focus on getting the message out there in every way possible. Digital Promotion: email, internal messaging tools, intranet and anything else you use to digitally communicate with your organization. IRL (In Real Life): Posters, postcards, QR codes all help generate buzz. Try to place promotional materials in areas people frequent (lunchrooms, communal areas). Make sure the program is also being promoted by managers and executives. Having C-suite speak about the value of the program at meetings, stand-ups, and town halls help add validity to the program in a way digital promotions cannot. What better way to generate buzz than an event? Piggybacking off an existing event or kick-off will help transfer that excitement into your program. Making social sharing memorable and impactful will help initial adoption. Another way to generate buzz is to gamify your program. Who doesn’t like a little friendly competition and the ability to win prizes?! Gamification has been shown as a key strategy for building habits that are unfamiliar. Do this early and often to ensure you build the right behaviors. Looking to gamify your employee advocacy? Sometimes traditional methods can work best. With a dispersed workforce, there will be many employees who will miss a lot of the promotional materials. Make sure everyone is included by sending email versions of posters, contest updates, etc. With the PostBeyond platform, email updates can be sent directly from the platform with easy click to share icons allowing for increased ease of use and program adoption. Looking for more ways to create program buzz? Talk to one of our reps today!